We know that Shug was the Pete Maravich of Auburn Basketball once upon a time, and that he was the Shug Jordan of Auburn Football. But he lettered in not one, not two, but three sports while at Auburn. So what of his baseball exploits? Well, it’s more like exploit. Southern Intercollegiate Conference championship. Auburn. Florida. 1931. Auburn’s two best hurlers are hurt. There’s only one left, a southpaw sub named Shug—no, make that Lefty. That’s what they called him. Lefty Jordan. 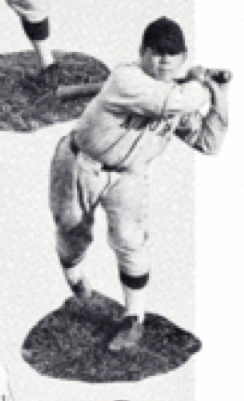 Lefty lets fly a high fastball—high high, Annie, Annie Over high. Yikes. Then he tossed a roundhouse curve. Good enough. Lefty gets in there. And he won the game for Auburn (5-3)—with a three-run homer, not his pitching. Thankfully a dude named Porter Grand, the centerfielder, would somehow come up with it. Over and over again. 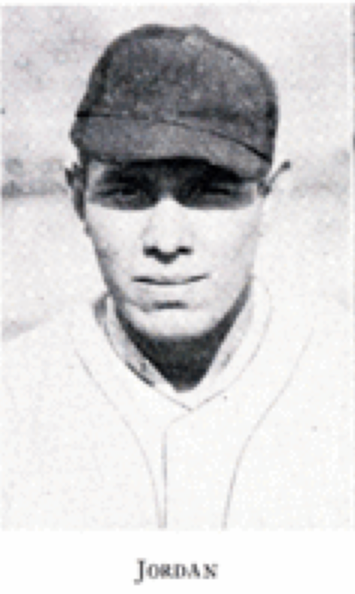 But Shug was at least sorta decent enough at baseball to actually kinda consider making a career of it—briefly consider… and only because jobs were scarce for Great Depression grads (he graduated in 1932). “After graduating, I was hanging around home (in Selma) trying to find a job, which was pretty hard to come by, when a friend of mine called me and asked me if I would come over to Uniontown and pitch,” Jordan recalled in the same Plainsman story. 1932, a regular Babe Ruth. He pitched a nine-hit game. They gave him $1.50. But the real sign from the Lord, one that might have butterfly effect-ed the course of Auburn football history (in a good, national championship kind of way), was Shug’s diamond deeds with the semi-pro Selma Dewdrops, which has to be the best name for a semi-pro baseball team in Selma ever. He was on the mound against Plantersville. The batter was jumping around and such. Shug had to plunk him. At least quit playing. Because Auburn Baseball needed a coach for its freshman team. Who answered the call and stayed on the line for five years? Photos from the 1931 Glomerata. Related: Former Auburn Diamond Doll turned Nitro Girl Kimberly Page talks Auburn football, wardrobe malfunctions.